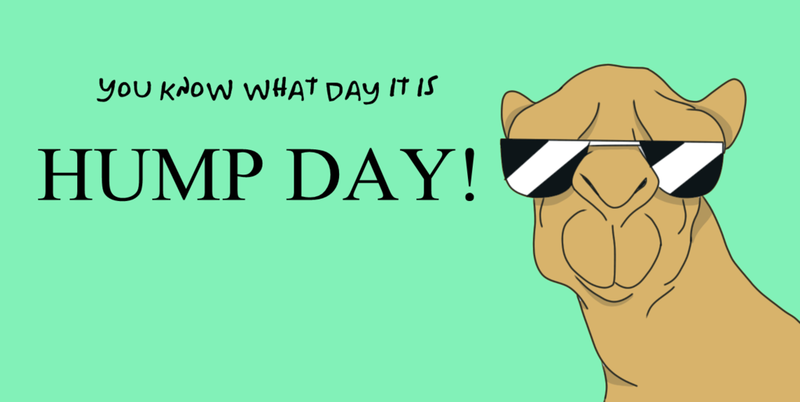 Happy Wednesday and Happy Hump Day! Hope everyone is having a great week so far. We’re halfway through the week so we’ve gotten over the “hump”. Today I want to discuss what you should participate in Twitter chats. I’ve been doing them for about a year and look forward to twitter chats every week! So, exactly what are twitter chats? 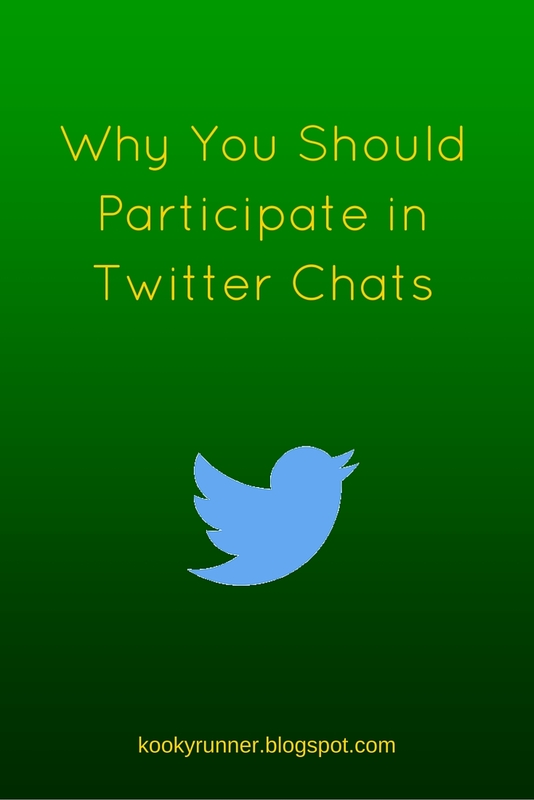 According to Forbes, a twitter chat is an event, usually moderated and focused on one topic. A hashtag specific to that chat is used during the event as well and a set time to assigned to the twitter chats days or weeks in advance. We’re all busy so we have to make good use of our time. I know that chatting for an hour online may seem like a long time, but you should try to participate in twitter chats because of the benefits. Chat with like-minded people! All of the twitter chats I participate in are focused on running and fitness. Sometimes its nice to chat with like-minded people that really understand where you’re coming from and “get it”. Learn new things! I’ve found out about so many new products through twitter chats. I always feel like I’m learning something new whenever I log onto a chat including, but not limited to, running brands, recovery tools, races, etc. Make new friends! I cannot tell you how many people I have started to follow on twitter that I met through twitter chats. It’s really a great way to meet people and make new friends. Win FREE stuff! Sometimes you can win cool stuff just by participating in a twitter chat. For example, a few months ago I won a pair of wireless headphones through a twitter chat with BibRave. I was looking to buy wireless headphones so it was a win-win situation (oh, and the headphones are amazing by the way)! Even if you don’t win a giveaway, you can get discount codes for products. Let’s face it – running ain’t cheap so any discounts are always appreciated! Are you wondering, how can I get involved? Glad you asked! Below are Twitter chats that I participate in weekly (when my schedule allows)! @BibRave – BibRave is the place to find and write race reviews. They are also the host of #BibChat (weekly twitter chat), which takes place on Tuesday nights at 8 p.m. CST. @FitFluential – FitFluential is a community of fitness enthusiasts. Their twitter chats vary, but you can click here for a list of all upcoming chats. @HealthYourWayOnline – Health Your Way Online is an online magazine for all your health, fitness and wellness updates. Their weekly chats take place on Monday nights at 8 p.m. EST and use the hashtag #HealthyWayMag. @therunchat – therunchat is home of #Runchat. These twitter chats take place at 10 p.m. EST the 1st/3rd Sunday and 8 p.m. EST the 2nd/4th Sunday of the month. I’m sure there are other wwekly twitter chats available, these are just the ones that I have found. Do you participate in any other twitter chats? Will you join one of these twitter chats in the future? I need to do these more. But they always happen when I am putting the kids to bed or in the middle of a work day! I understand – sometimes the time of the chat isn't great for people who live on the west coast! They can be overwhelming sometimes (especially now that I'm down to only one monitor and still try to multitask) but I always love jumping into RunChat and BibChat! I agree it can be overwhelming to keep up with all the tweets during the chat! Sometimes I go back and read the tweets I missed. I join a twitter chat occasionally but I've never participated regularly each week. They are a lot of fun though. Great way to get your name out there and gain authentic followers, love it! Exactly! It's a great way to find awesome new friends and make genuine connections!